The Washington Post in its story ‘India’s ‘silent’ prime minister becomes a tragic figure’ with the headline saying it all, is really a repetition of what has been appearing in sections of the Indian media for years now. There is little new in the report that has sent ripples of consternation down the government and the Congress party hierarchy, except for the fact that the American media has finally decided to end the honeymoon with Prime Minister Manmohan Singh [ Images ] in recognition of the fact that his honeymoon with the Indian middle class ended a long time ago. Dr Singh does cut a sorry figure as he sits motionless, and expressionless, through the Parliament sessions and has more and more started appearing as a leader who has given up, or one should say given in. Nothing seems to move him, and the post of the prime minister has, in the process, been reduced to levels never seen before. He does not meet people any more, he barely travels within India [ Images ], and seems unaware that he is sitting on top of one of the most corrupt governments this country has ever seen. Scam after scam rolls by without the weak doctor blinking an eyelid, as the government remains unaccountable and the institutions of democracy shake under the pressure. The government’s response to the newspaper report is again a case of over-reaction, as surely it cannot be anyone’s case here that the media cannot write freely and independently. Particularly the world media that follows its own laws, and clearly perceives the prime minister to be far from functioning. The fuss, and the strong reactions seeking an apology from the Washington Post, arises from several factors, and unfortunately, none of them complimentary to the UPA government. One, the report that is really a repetition of all the Indian media has said several times before hurts only because it is from theWashington Post. And this government cares more about the opinion there, than the opinion here as has been demonstrated over and over again by Dr Singh and his cabinet cronies before, and since, the India US civilian nuclear energy agreement. In short, it hurts and the government is finding it difficult to ignore it as it does the Indian media. It is not as the Washington Post, unlike the big media here, might not be as easily retract what it has reported as it has little to lose. And for every one report there will be several such reports as these cats, when out of the bag, have a tendency to multiply with increasing rapidity. but as the image of the scrupulously honourable, humble and intellectual technocrat has slowly given way to a completely different one: a dithering, ineffectual bureaucrat presiding over a deeply corrupt government,” read the Washington Post report, brutal and frank in its assessment. What it does not add is that the bureaucrat seems to have given up, as Dr Singh gives a pretty good demonstration of the civil servant who, pulled in all directions, is resigned to being a dummy. He does not have the politician’s courage to strike out for whatever he believes in, and seems to have resigned himself to servility on the one front, and abject inertia on the other. In the process he has become the Washington Post headline, silent and tragic, more so perhaps for those who had expected great things from him at one point in time. Those who have worked closely with Dr Singh when he was just a bureaucrat decades ago seem to have a better judgment of his personality and character. And see him as a bureaucrat who has managed to work the system to his advantage. His apparent humility has made him a favourite of the politician who are not threatened by his presence, and impressed by his knowledge. Unfortunately these qualities do not work for a prime minister who is required, and expected, to lead from the front and steer the complicated ship to some level of governance. It is true that his cabinet colleagues are more loyal and responsive to their respective party presidents than to him. But surely it was for Dr Singh to crack the whip. He failed to do so, and now cannot really sit back and cry about the fact that no one listens to him. If that is true, as it appears to be, the prime minister should resign with the admission that he is not fit for the job assigned to him. He and his party must realise that there cannot be a government of any merit, without a prime minister to guide it. And a leader who believes in sitting it out, under a party that feels less threatened if he does exactly that, is not going to be able to manage this complex country, in or outside Parliament. Governance is not about clever tricks, and the Manish Tiwari kind of rhetoric. These cannot replace decisions and action, but unfortunately this is all that seems to be happening. The flurry of activity over the Washington Post report is precisely this, a great deal of noise from empty vessels who are scared of introspection, and hence a recognition of the hollowness within. Thus, it is always better to beat the messenger in the hope that his news dies with him. It does not work, but then the Congress party and its government is too self absorbed to realise this. Happy Teacher’s Day- UPA Style, Of Course! 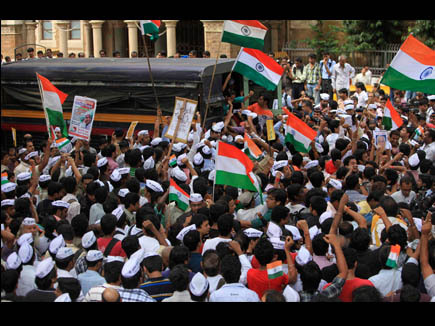 It is obvious to all that there is great ferment among the masses which is manifested in the large turnout of people, especially young men and women in their twenties, in support of Anna Hazare’s movement against corruption. 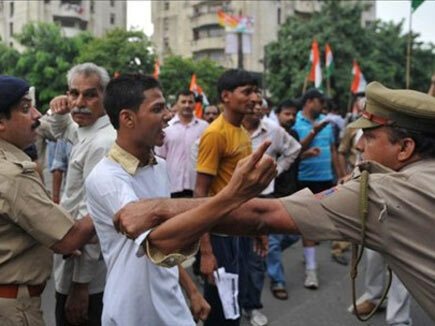 Anger over the rampant loot of public funds as witnessed during the run-up to the Commonwealth Games and the outrageous emptying of the till by Ministers, like A Raja did while ‘auctioning’ 2G Spectrum, among other sins of omission and commission committed by the Congress-led UPA regime, as well as the Government’s crude attempts to white-wash these criminal misdeeds, is visible on the faces of the protesters. 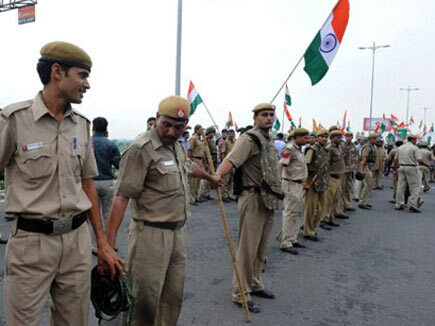 There is also a sense of mounting frustration — over the system failing in so abysmal a manner and popular sentiments being treated with callous contempt by those in power, at the sight of politicians cocking a snook at both law-enforcers and the people, at not being able to play an interventionist role in preventing further robbery by those who are supposed to guard the public exchequer, and, at being forced to grease the palms of public servants for the smallest of services to which citizens are entitled. The blowback was waiting to happen, and now that it is happening, it is threatening to sweep away logic and reason from public discourse. As Descartes famously said of the angry person: “I’m angry, therefore I can’t think.” At such moments, what is needed the most is leadership, or the assertion of leadership, by the Prime Minister. Tragically, what we have seen till now is prevarication and obfuscation by a clueless, rudderless Government on the verge of foundering on the rock of its cumulative follies. The Prime Minister, as always, is missing at this moment of crisis; his feeble voice has been rendered even more irrelevant than ever before. True, it would be unfair to expect Mr Manmohan Singh to break free of his image, get rid of the accumulated public perception of his being in office but not in power, and assert his leadership to restore reason, smoothen ruffled feathers and steer the nation to calm waters. Ever since he became Prime Minister in the summer of 2004, Mr Singh has chosen silence over speaking to the people, inaction over acting decisively, indecisiveness over purposeful assertion of authority. His cultivated humility has proved to be no more than a cloak to hide his inability to rise to the occasion, to confront challenges and turn them into opportunities, to demonstrate that he will countenance nothing but absolute integrity and unimpeachable probity among his colleagues. As a result, he has silently presided over unrestrained loot by corrupt Ministers, meekly promoted tainted babus and slyly tried to blame others for his many failures that have contributed to the governance deficit which in turn has led to the outpouring of anger that we are witnessing. Had he truly been honest, he would have acknowledged the fact that he has no clout in the Congress and admitted that his writ does not run in the Government he nominally heads. And had he been a man of integrity, he would have stepped down from office long ago, rather than enjoy the perquisites and benefits that come along with the Prime Minister’s job. The nation deserves better. India deserves a leader, not a caricature of a Prime Minister. 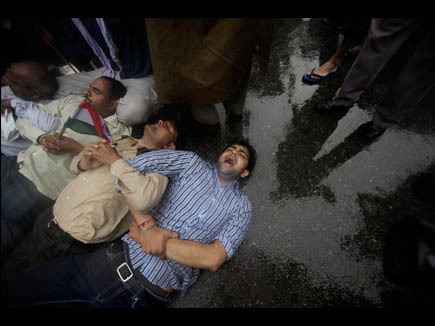 The events of recent weeks, culminating in Anna Hazare’s detention this morning, mark in many ways a defining moment in India’s evolution as a democracy. 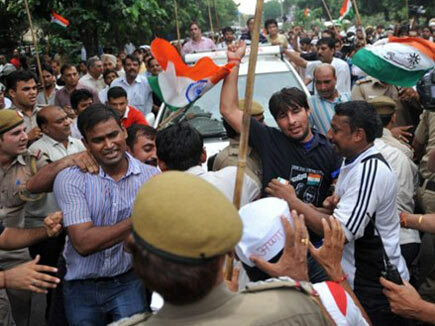 The upsurge of popular sentiment in cities across India this morning in solidarity with Team Anna’s detention is stunning. And the readiness with which people who normally go to elaborate lengths to avoid engagement with “dirty” politics are now courting arrest or are otherwise organising public protests – or even just quietly observing a day’s fast at home — to give expression to their sense of disgust with the UPA government’s handling of the Lokpal Bill exercise is quite unprecedented in independent India. I know of professionals who have taken leave from their investment banking jobs abroad, where they earn six-figure dollar salaries and bonuses, just to be in India today to be part of this movement. 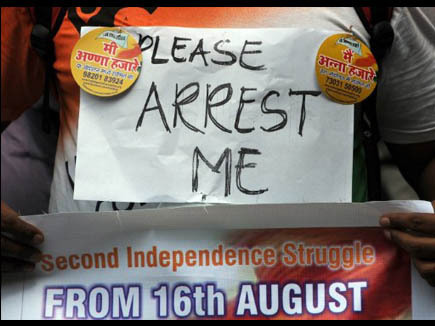 One of them has even prepared his young wife for the inevitability of his arrest – which in his family would normally be considered a shame and a scandal – and has been organising protests in Mumbai for the past few days. At NRI gatherings of Indians Against Corruption, the energy of young Indians sharing ideas to make India corruption-free has been palpable. The extent to which they are ready to step outside of their 9-to-5 grind and donate time and money for the biggest public cause that confronts India is a surprise – even to them. They say they used to think of themselves as apathetic to politics. But now, they’ve found a cause they believe in. 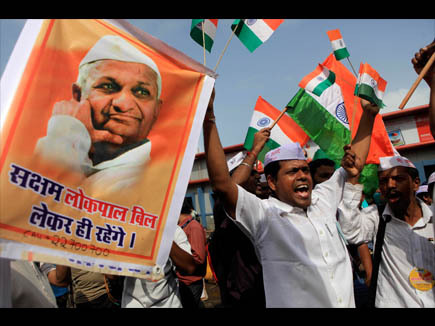 This is the second time in the past few months that Anna Hazare has convincingly demonstrated the popular, mass-based nature of the support that his campaign enjoys, across class, caste and religious distinctions that normally divide us. 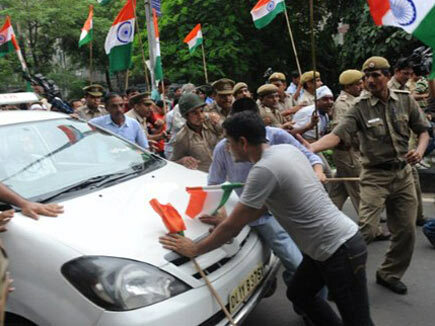 We first saw it in April, when he launched his fast at Jantar Mantar, and electrified India. Since that time, he and his team have had the entire political establishment — and, to be honest, a cross-section of media commentators – clueless about how a man with little or no financial resources can command so large a following with only rustic simplicity and the power of a message that has great resonance with millions of people. So, the fact that Anna Hazare and his team enjoys enormous goodwill with a large-enough constituency of people who are sick of corruption and jaded with politics as usual and who have completely lost faith in the political establishment in its entirety is blindingly obvious. Team Anna’s one major success has been in giving voice to and amplifying the popular disgust with the top-down, 360-degree corruption that pervades our public life . 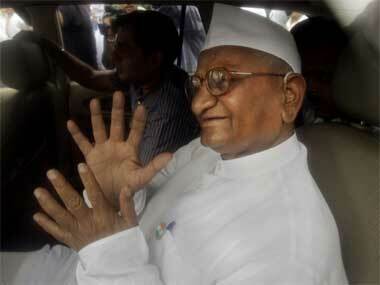 The question then arises: how can Team Anna now leverage this goodwill? Should it continue to remain the “outsider” calling the political establishment to account? What are the odds that it can succeed? How can it channel the deep-seated distrust of the political establishment and bring about demonstrable change. To address that, it helps to assess the extent of “success” that Team Anna’s campaign has had. It’s beyond dispute that Team Anna’s one major success has been in giving voice to and amplifying the popular disgust with the top-down, 360-degree corruption that pervades our public life — and in showing up starkly that for all the power games that go on with the various political parties, they are pretty much united in their opposition to a strong Lokpal institution. Yet, while Team Anna gets full marks for elevating the issue of corruption to the top of the agenda and for creating mass awareness, its attempts beyond that have only met with limited success. For instance, the Lokpal Bill that’s now before Parliament is a mere shadow of the strong anti-corruption agency it envisaged. And even those who are willing to stand up and be counted along with Anna aren’t fully convinced that Team Anna’s Jan Lokpal is the answer to corruption. If you can’t convince even those who support you, what chances do you stand against those who oppose you? 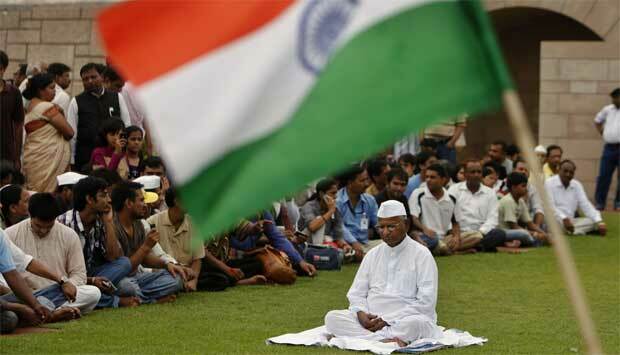 It is in that context that Team Anna needs to formulate a forward-looking political strategy. Since it’s the current UPA government that is now doing its damnedest to water down the Lokpal Bill, it’s fair to say that it will pay a big political price when general elections are due next in 2014. By default, an alternative political formation could then come to power. But even in the event of, say, a BJP-led grouping coming to power, there’s nothing to suggest that it will work to change the system because it’s now too entrenched in the wily ways of electoral game-playing (as was demonstrated most strikingly in its handling of affairs in Karnataka). The BJP has thus far adopted only a wishy-washy stand on the Lokpal Bill, which validates the suspicion that it doesn’t want to alter the rules of the political game too drastically. 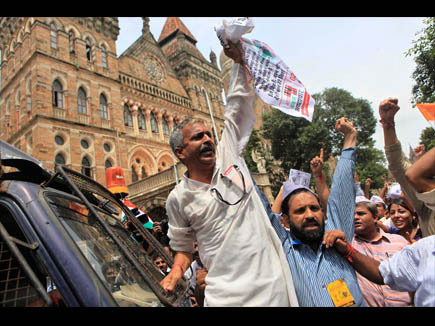 In any case, why should Team Anna do all the grunge work only to see another status quo-ist party ride on its back and come to power? Why not bite the bullet and enter the “dirty” political fray yourself? It’s true that Anna Hazare has a disdain for electoral politics as it is practised now, where – in his words – people sell their vote for a bottle of liquor. He also considers himself “unelectable”, given the reality of the political arena. 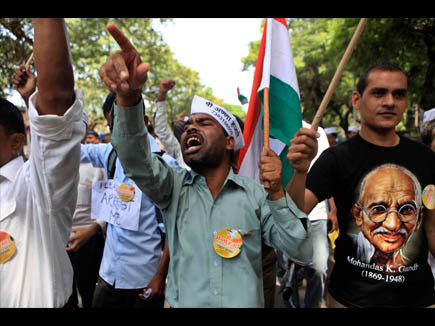 Yet, the biggest criticism that cripples the movement today is that since it is not elected – “or electable” – it has no right to influence the discourse on the Lokpal Bill, now that it is before Parliament. It’s not just Congress lackeys who make that criticism. Even non-Congress politicians andinsightful commentators make that point. On that count, Team Anna’s best days as an agent of change from the “outside” may be already over. From here on, it only risks elevating its politics of confrontation, which could erode the political goodwill it now enjoys. It’s perhaps time for Team Anna to enter the political arena and work for change from within. Even if it does that, it doesn’t have to become just another political party. With the goodwill that it now enjoys and the energy it has infused in its supporters, it can change the way politics is played in India. What it lacks in money power, it can make up for with a bottom-up movement that, as has been already demonstrated, enjoys great resonance. In any case, as we saw with the routing of the DMK in Tamil Nadu, money power stands no chance when a people are set on throwing out a corrupt regime. The challenges to becoming a mainstream political party are formidable, particularly when you’re (for now) only a one-issue party. But that issue – corruption — is one that is right at the top of people’s consciousness. And as the only political force that today enjoys a nationwide profile, is untainted by corruption, has a vision for changing the system – and a volunteer force that can more than compensate for the money power of its opponents with boots-on-the-ground campaign, Team Anna has enormous strengths in this battle. Moments such as this come only once in a generation. 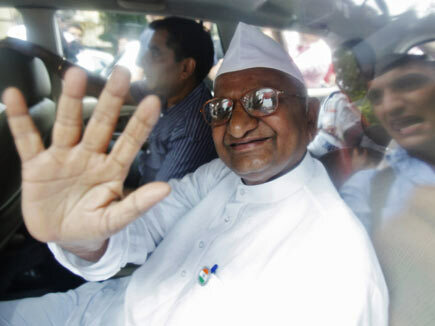 By a curious alignment of planets, Anna Hazare has captured the imagination of an India that is crying out for fundamental change. It is time for it to seize the moment, stop being an outsider that has exhausted its influence as a change agent, enter electoral politics, and recreate an India in its own image.